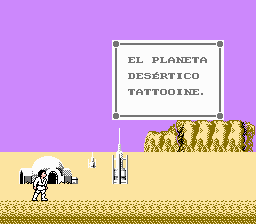 Star Wars (Namco) is an action platformer game for the Nintendo Entertainment System. 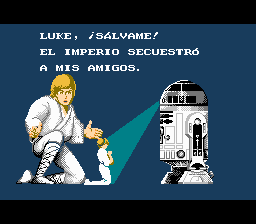 This version of the game was released only in Japan in 1987. 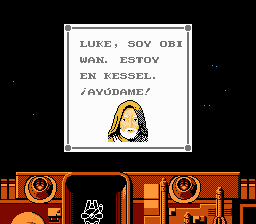 Full translation to spanish for “Star Wars (Namco)”, for the Nintendo Entertainment System. Adds special characters. Based on the version by Gil Galad. 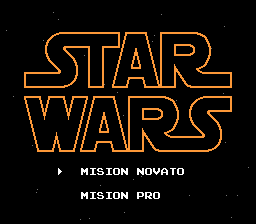 bbitmaster Original Hacking Death Star map. 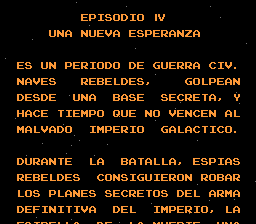 Continue mode hack.